More and more customers are moving their business-critical applications into the 'always-on' data centre, says Veeam Software's Gregg Petersen. Backup, disaster recovery and virtualisation management software provider Veeam Software has seen "double-digit growth" in its South African business. The company last week announced highlights of its global FY 2015 results, reporting record total bookings revenue of $474 million, a 22% increase over the previous fiscal year, and 34% year-over-year revenue growth in enterprise orders. Veeam Software develops backup, disaster recovery and virtualisation management software for VMware and Hyper-V virtual environments. It focuses on products that increase the resistance of virtualised workloads, reduce downtime, and ensure the system availability required by service-level agreements (SLAs). The company says both Q4 2015 and annual results show enterprises are embracing Veeam's approach of delivering availability solutions, which enable SLAs for recovery time and point objectives of less than 15 minutes for all applications and data. It notes cloud computing has been a massive driver of its 2015 success, especially as the demand for disaster recovery-as-a-service intensifies. "Veeam, as a private organisation, still does not issue numbers in terms of revenue, but we continue to see strong, double-digit growth in South Africa and Africa," says Gregg Petersen, regional director for MEA and the South Asian Association for Regional Co-operation at Veeam Software. "More and more customers are moving their business-critical applications into the 'always-on' data centre. This, coupled with an already strong base of loyal customers, contributes to continued phenomenal growth globally and in SA. Veeam is a poised to continue on this growth trajectory," he notes. Petersen points out SA is a very mature market in terms of virtualisation and migration towards the 'always-on' data centre. "We have a big install base, or market penetration, still available to us locally, together with our channel and our bankers. "In South Africa, our channel is getting stronger by the day. Veeam is on a significant drive towards the enterprise space, and this will contribute to our ongoing success," he adds. 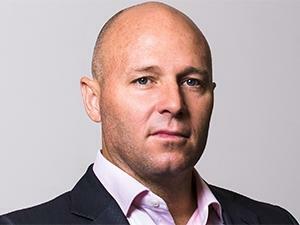 The company intends to invest heavily in the South African channel. "In consultation with our partners, we look at expanding the business in terms of what we want to achieve and how we can use our resources to achieve those goals in South Africa. We will continue to work very closely with our alliance partners, such as Cisco, Microsoft, VMware, HP and NetApp, to help drive the market for data," says Petersen. "Veeam has achieved remarkable growth, rising from a start-up in 2007 to becoming one of the top five data protection software vendors in 2015," says Phil Goodwin, research director at market analyst firm IDC. "The company's 22% growth rate is substantially higher than the overall market's 6.3% CAGR that IDC expects through 2019. Moreover, Veeam has developed a substantial ecosystem of resellers and integrators around its disaster recovery-as-a-service capability. "IDC forecasts the cloud recovery as a service market overall to grow at a 21.44% CAGR over the next five years and Veeam has positioned itself to be a strong competitor in this market," Goodwin concludes.